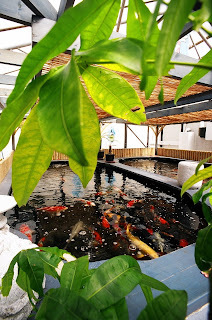 Holmeswood Koi nestles in the heart of the rural Lancashire countryside a couple of miles outside Burscough. This spring Holmeswood are staging an Easter open day on saturday 22nd March 2008. Holmeswood makes a great must visit venue under normal circumstances with a nursery comprehensively stocked with all kinds of trees, shrubs and plants but new for 2008 is the revamped coffee shop which in addition to great home made snacks and cakes also now includes an impressive water feature display. 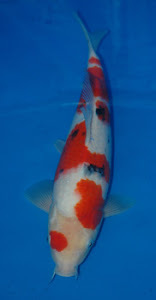 Quarantined new selection of Koi will also be available for viewing and Holmeswood also boast an extensive selection of quality granite pagodas , lanterns etc. Industry representatives will also be in attendance including the highly regarded Shingoi team, add to all this a warm friendly welcome, great personal service, and some great season launching offers on a wide range of products......thats Easter saturday sorted! Copyright 2007 © Nishikigoi International, Ltd.